MediaCityUK is a 200-acre mixed-use property development along the banks of the Manchester Ship Canal in Salford and Trafford. Envisioned together by the Peel Group, Salford City Council, the Central Salford Urban Regeneration Company and the Northwest Regional Development Agency, the project interates a world-class hub for the creative and digital sectors much like those in Copenhagen and Singapore, as well as a vibrant destination to work, live and play. The chosen site was the last undeveloped site at Manchester Docks, an area that had been subject to considerable investment and was emerging as a tourist destination, residential and commercial centre. 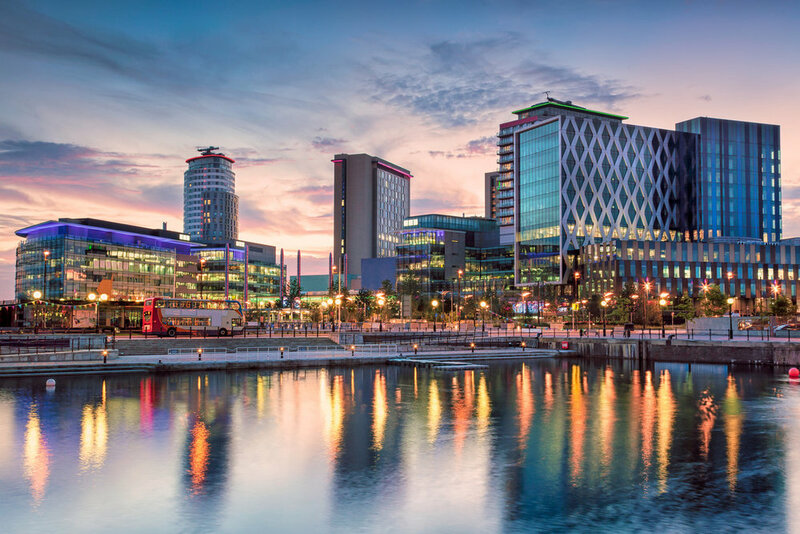 Today, MediaCityUK is the base to BBC North, ITV, Coronation Street, SIS LIVE, the University of Salford, dock10 and over 250 innovative businesses. The site features one of the Europe’s biggest HD studio complexes and is served by over 400 apartments, a hotel and a diverse range of amenities, bars and restaurants. Collaborators: Michael Joroff / Alexis Sanal..